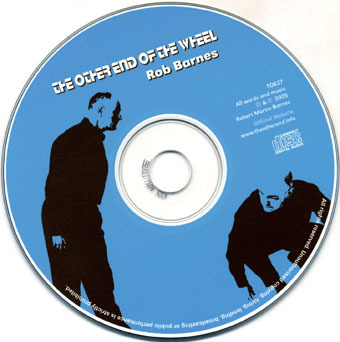 Rob Barnes played guitar and sang with the Palers' Band in 2000, the first time fans gathered to play Procol Harum songs (Gary Brooker in the audience): five years on he has put out a solo album, reviewed here by US singer-songwriter Elizabeth Bryson (who sings Toujours l'Amour here) for 'Beyond the Pale'. Click some of the song-titles to hear how they sound; then order the album here! 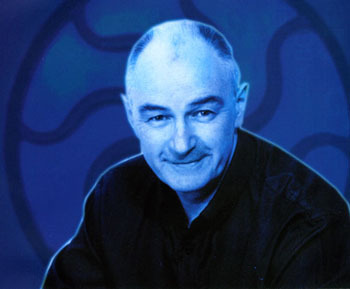 Looking for a new album chock-full of good tunes and clever lyrics? 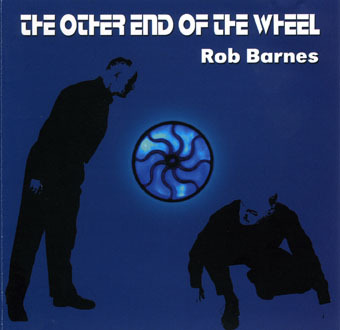 The Other End of the Wheel by Rob Barnes is for you! The album kicks off with Passing Through which includes a very catchy guitar riff along with crafty lyrics and melody. Crafty lyrics and melodies present themselves strongly throughout this album. Status Anxiety cleverly creates an amusing scenario of, well, status anxiety. It moves along to a driving rhythm and is topped off at the end with a brilliant, bar-room style piano solo from Adam Burgess. Two other very amusing and insightful scenarios are created on Have You Been On Your Holiday? and Dead in the Queue; the latter certainly being one of the funniest and most enjoyable songs ever written about being stuck in a traffic-jam. On the more serious side, there are songs such as A Right Way, very inspiring lyrically as well as musically. A special nod to Roland Clare for the very fitting and uplifting arrangement, not to mention fine organ-work (along with some wonderful vocal accompaniment from his daughter Jane and drumming from son, Peter). Poignantly juxtaposed are two songs about love; the first is a song about falling out of love called Nothing to Show – set to an easy rhythm with a lovely piano solo from Rob's daughter, Ally Bee. This is followed by a song about being in love called Whatever I Say – a beautiful musical portrait of love with a gentle-anthem chorus and soaring guitar solo by Lee McCabe. The album closes out in a grand style with the title track, The Other End of the Wheel. Wonderfully introspective lyrics and moving arrangement. Two songs not mentioned yet, In Every Dream (tunefully reflective song about hopes, dreams and the innocence of childhood) and Photograph, pertinent lyrics regarding the state of the world and our place in it – very effective acoustic guitar accompaniment – eerie ending); these are also songs not to be missed. There is a truly warm and genuine quality that is pervasive throughout this album. A fine collection of songs with solid musical support on every one of them. When's the next one, Rob?